On October 4, 2018, Flowhaven gathered a roster of European brand licensing professionals and enthusiasts and four brand licensing experts from the U.S. to network on October 4, 2018, in Helsinki, Finland. Titled “Insights to North American Brand Licensing and Merchandising,” the event focused on the best practices in the brand licensing industry and the hottest licensing trends in the U.S. marketplace. 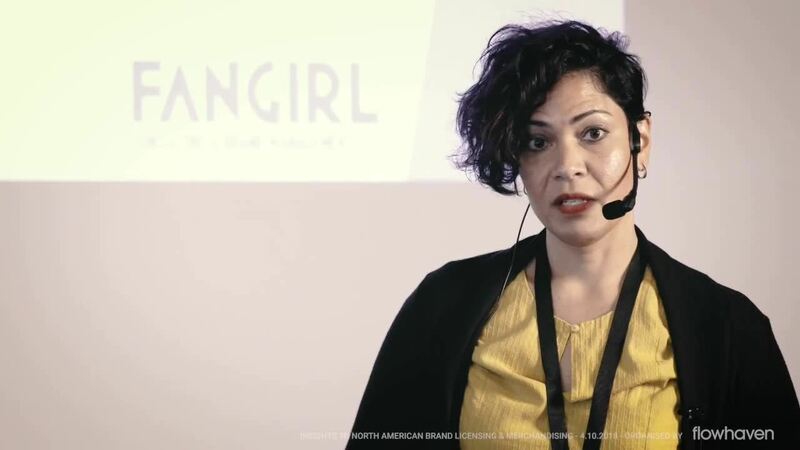 In this keynote, Anita Castellar talks about the best practices for growing a licensed brand, nurturing brand fandoms, and promoting ambassadorship. During her tenure, Anita has worked with some of the most commercially successful brands in licensing including Hasbro, Disney, and Lucas Film. Among her numerous competencies in brand licensing, she excels at building engaged and loyal brand fandoms. Are you looking to build strong brand ambassadorship within your brand fandom? Learn how Anita’s experience can inspire you to achieve your goal! Licensing lifecycle management had never been so easy! Built on Salesforce, the #1 customer relationship management (CRM) platform, Flowhaven enables licensors and agents to manage the wide range of activities required to run a successful licensing journey with B2B partners including agreement management, digital content distribution, design collaboration and approvals and sales reporting and validation. Flowhaven inspires commercial and creative licensing teams to collaborate and leverage real-time business data in order to grow and scale globally. Flowhaven is a LIMA member with offices in Espoo, Finland and Santa Monica, California.